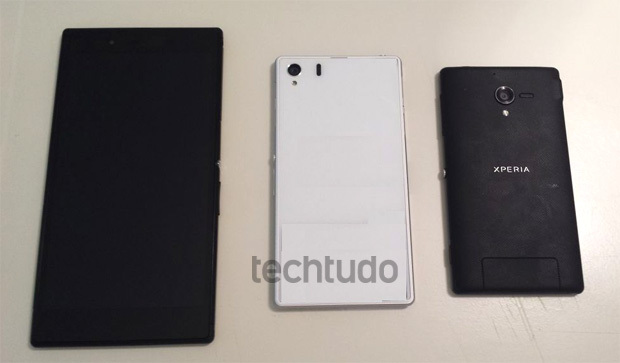 Sony's brand new 6.4-Inch Xperia Z Ultra phablet that they announced earlier this week, but new one leaked image of upcoming flagship Android smartphone that could end up being called Xperia i1 codename "Honami". Honami is believed to sport a 20MP camera, putting in a large 1/1.6" sensor and Xenon flash, although the lens looks no bigger than previous cameras. The Techtudo team who leaked the homani photos claims that they have verified the 20MP camera resolution, but could not publish any photo. The Honami appears same 5-Inch full HD 1080p display as the Xperia Z with Bravia technology - rumors reported. It ran Android 4.2 on a Snapdragon 800 chipset, 2GB of RAM, the configuration quad-core and 2.3 GHz Qualcomm CPU which is most powerful. According to latest leaks, it will announced on July 4th. Although date hasn't been confirmed. No announcement or release dates have even been mentioned yet.